We, as one of the rising stars in the online marketing and tech industry, get asked a lot where we learn how to get better in what we do. Some of us are oldskool paper-readers, as you can see in our previous post about the most interesting marketing books, but of course we also read a lot online. We’re lucky to live in a time where the world wide web has expanded itself as a great and mighty source of information and it would be stupid if we didn’t profit from that. One of these quite new media are the online blogs, where you can find the most relevant information about almost every subject, written by the experts in your field. In the past you had to come to meetings and presentations to know what’s trending and of course this is still something that we love to do, but you can also access lots of interesting information online. That’s why we decided to make our own shortlist of the most interesting, delightful and entertaining blogs that you must read if you’re into tech and the online (marketing) world. Bryan and Jeffrey Eisenberg are one of our own favorite opinion leaders and authorities in the field of online marketing. With their numerous articles about improving online conversion rates, persuasive content, persona marketing, SEO, backlinks and many more interesting online subjects, they’re a big inspiration and this makes that the ‘Bryan Eisenberg’-blog certainly is a must read. We’ve known Bryan Eisenberg for a while, it all began with his interesting theory about ‘The 5 Rs of Search Engine Marketing’. This theory says that Search Engine Marketing is a combination of the 5Rs: Relevance, Reputation, Remarkability, Readability and Reach. We couldn’t agree more and this is exactly the reason why you should take some time to watch the video below and of course to read the blog! The next blog on our tech and online blogs shortlist might be a bit less accessible for the mainstream audience, but it definitely caught our interest which makes that it has earned a spot on our list. With extensive articles about subjects like targeting & segmentation, website testing & usability, web analytics and optimization written by a number of experts in the field, they try to impart some knowledge to their readers. You could see this blog as a free study book with many useful guides for the experienced online marketers. Mashable is probably one of the most well known blogs in our list. This is a very big worldwide blogging platform with multiple interesting posts a day about various subject, such as tech, social media, business, entertainment etc. We’re most interested in the tech part, with the most interesting articles about the latest gadgets, apps and software for mobile and in general. Updates in Google software? New middlefinger emoticon in Whatsapp? Facebook changes their policy? You’ll read it here! In our personal favorite list there’s also a ‘bloggers blog’ to be found. A blog with articles about blogging tips for bloggers, of course does that one belong in our list of blogs! This platform full of guides, articles, courses, links etc. for business bloggers helps you to become a professional blogger in no-time. Every few days they post a new article that will help you to grow in what you’re doing. By now, they’ve already posted 229 articles and counting, so there’s enough information to absorb for the following days! SEO.com, the name speaks for itself, is the place to be if you want to be up-to-date in the SEO-field. All the information you need about SEO you’ll find it here; the latest SEO news, events, topics and articles. SEO is always evolving, so if you want to be a SEO king you have to be attentively and following SEO.com is one way to do this! As they note on their website, they’re #1 in Digital Marketing and they definitely deserve a place on our blogs list. Computerworld is a platform that has put all of the most interesting tech bloggers together and offers you a constant stream of interesting tech and IT articles. Computerworld is one of the oldest and most respected IT magazines and this is also the power of this blog. They realized in time what they had to do to keep up with the online world which results in this very interesting platform of combined blogs from different writers, just like an actual offline magazine. 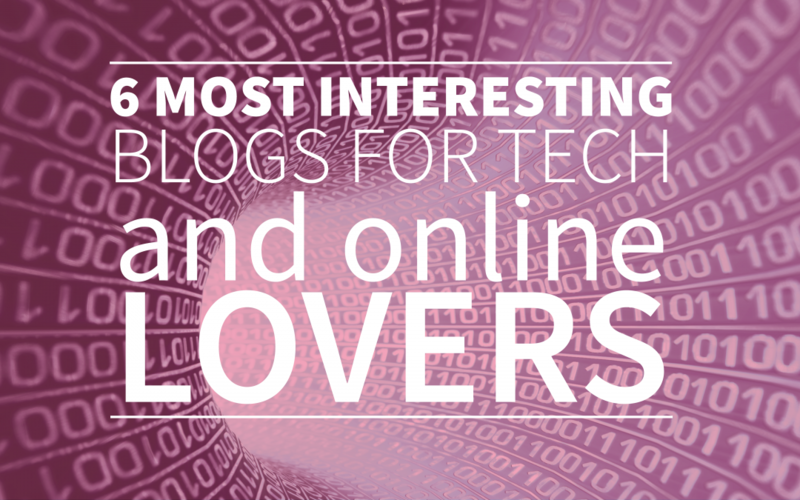 This is our personal list of favorite blogs, let us know what you think about it @webtexttool! If we’ve missed your personal favorite, please let us know, we’re always open for suggestions! If you want to learn more about SEO and how to optimize your own blog, you should take a look at our free trial account of webtexttool or read about the best SEO whitepapers!